Our number one no-no at a wedding is to let your guests leave hungry! 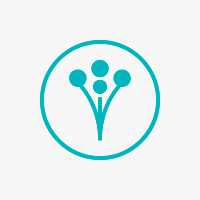 Caterers have carefully prepared and served an assortment of appetizers, entrees, and desserts. Not to mention late-night snacks too! Tired of the typical cheeseburgers and french fry cones? We asked the experts to share their late-night snack specialties. “A recent favorite is Chef Russ’ Duck confit shiitake mushroom pot stickers. This late-night bite is served with a warm hoisin-sesame dipping sauce. The blend of flavors mixes well with white wine, and is always a hit since it’s a social food like dim sum," says Heather Thomas of Two Cooks Catering in San Luis Obispo, California. “Lobster corn dogs with a habanero lime mustard dipping sauce, and bacon-wrapped bratwurst dogs served in scratch-baked brioche buns – after all who doesn't love bacon?” says Thomas of Two Cooks Catering. “Another one of our favorite snacks from our travels through Southeast Asia was a fresh banh mi. We took inspiration from those tasty little sandwiches for our Vietnamese-inspired pork belly sliders. Ours have savory pork belly, a fried quail egg, quick pickles, maple chile aioli, and fresh basil and mint," says Hansen of Wanderlust Catering in Concord, California. 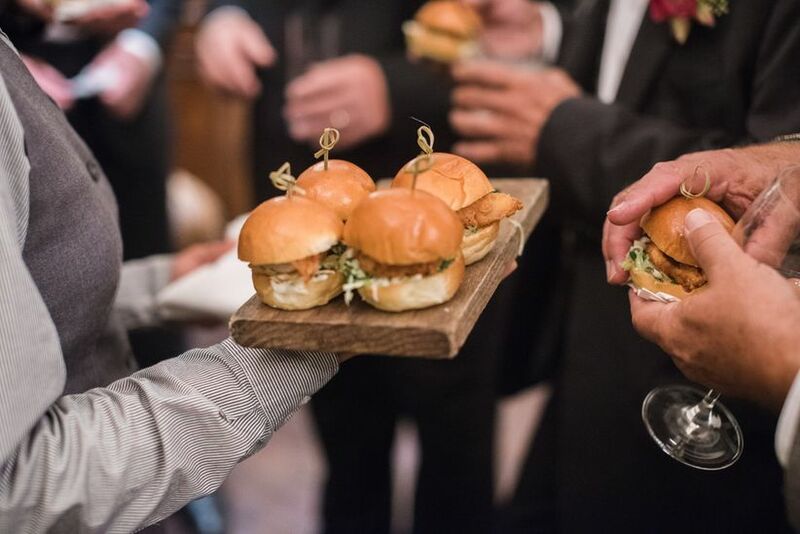 “We also love our Philly cheesesteak sliders with shaved sirloin, a rich cheese sauce, hot peppers, sauteed mushrooms, and crispy herbed breadcrumbs for a nice crunch," says Hansen of Wanderlust Catering in Concord, California. 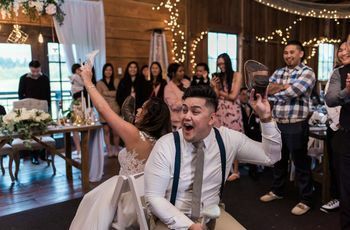 “On the sweet side, we're fans of freshly-fried churros drizzled in salted caramel and sprinkled with applewood-smoked bacon," says Hansen of Wanderlust Catering in Concord, California. “Handmade crepes made right on-site filled with combinations like pit beef, caramelized onions, horseradish cream and black lava salt (which gives it a nice hint of charcoal) or blackened shrimp with roasted corn, avocado mousse and mango gazpacho drizzle.," says Benson of Elevent Courses Catering in Columbia, Maryland. “I had a couple that loved sandwiches, so we came up with a duo mini sammie bar. We took the bride’s favorite sandwich, the groom’s favorite sandwich, and made versions of each, wrapped them beautifully and placed them in two baskets. 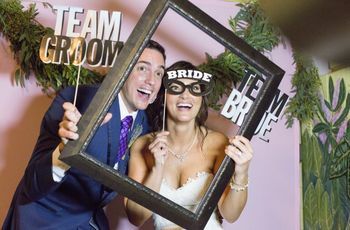 There was a bride sammie and a groom sammie, and they were a great late-night treat to take with you to enjoy later or a tasty snack to enjoy right then and there," says Lisa Clark of A Wild Thyme Catering and Events in Denver, Colorado. “If the reception goes on long enough, breakfast foods can make a great late-night snack like egg mcmuffins or stacks of pancakes on skewers," says Ryan Brown of Ryan Brown Catering New York in New York, New York. says Jaclyn Conlogue of Exchange Events & Catering in Gordonsville, Virginia. “A Texas favorite: frito chili pie! Royal Fig puts a spin on it, and serves it with bison and passes it out as a fun and savory late-night option," says Kristen Stacy of Royal Fig Catering in Austin, Texas. “Chicken and waffles. This is a Southern treat. It’s a small waffle topped with a freshly-fried chicken popper then drizzled in spicy honey," says Drew Corcelli of Lowcountry Eats in Charleston, South Carolina. “We own a wood burning pizza oven that we bring on-site, which allows us to cook individual pizzas in five minutes. Guests love to be able to pick their toppings, and watch the pizza cook, and if the show doesn't get you, the smell will," says Corcelli of Lowcountry Eats in Charleston, South Carolina. 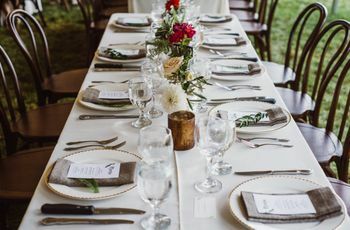 “We like to see the late-night snack as a way to provide something personally meaningful to the couple like Virginia ham biscuits for a bride, who grew up in the Virginia area," says Rochelle Myers of Rochelle Myers Catering in Leesburg, Virginia. 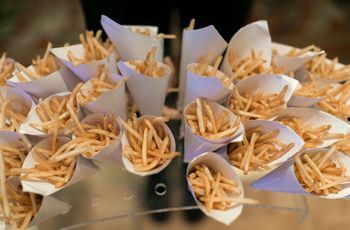 Wedding Reception Which Late-Night Snack Should You Serve? Take the quiz and find out what yummy treat you should serve late-night!